The 1980s group Spandau Ballet perform hits from their repertoire, including Gold and True. One of Britain's great iconic bands, Spandau Ballet has sold over 25 million records, scored numerous multi-platinum albums and amassed 23 hit singles across the globe. One of the super-groups of the 80s, the band reformed in 2009 after two decades apart, embarking on a sold-out tour and haven't looked back since. The New Romantic band recently premiered 'Soulboys Of The Western World' to a sold out Royal Albert Hall and this O2 concert is likely to be just as popular. What are the best dining options near Spandau Ballet: Soulboys of the Western World Tour London? Spandau Ballet: Soulboys of the Western World Tour gyms, sporting activities, health & beauty and fitness. The best pubs near London Spandau Ballet: Soulboys of the Western World Tour. 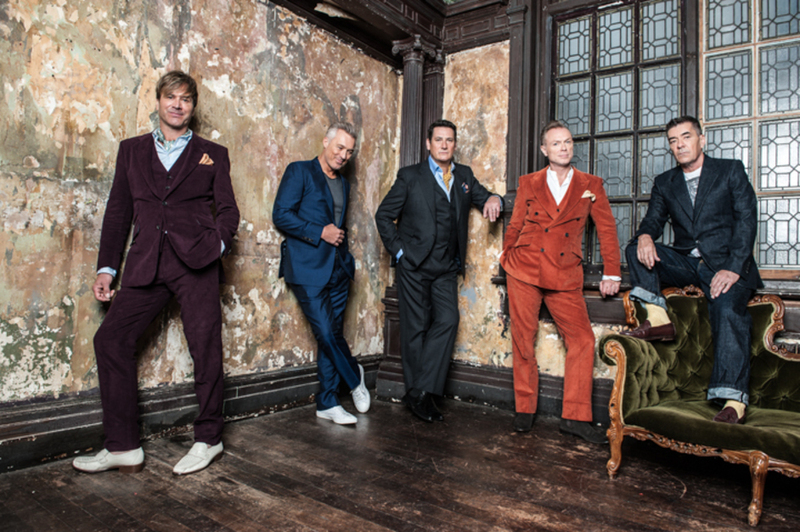 Spandau Ballet: Soulboys of the Western World Tour clubs, bars, cabaret nights, casinos and interesting nightlife. Where to have your meeting, conference, exhibition, private dining or training course near Spandau Ballet: Soulboys of the Western World Tour. From cheap budget hotels to luxury 5 star suites see our discounts for The O2 Arena hotels, including Holiday Inn Express London Greenwich from 86% off.